For further information or to make a reservation over the phone, please feel free to call Group Reservations on 1800 19 20 20. Don't forget 8 RAR Conf/ Reunion. To commemorate our 50th Long Hai Day, our association intends to hold the Reunion at the Tweed Heads/Coolangatta Twin Towns Service Club over four nights from Tuesday 25 to Friday 28 February 2020. Your organising committee needs your support. We need to know numbers attending so we can source the most suitable venues and obtain some favourable deals based on our numbers and to finalise our plan. Commencing 1100 hr Company gatherings at locations TBC. Company in which you served: ……………………………. I/we would like to go on Tweed River Cruise including BBQ lunch (Estimated cost $65 if under 20 PAX $58 if over 20 PAX per head. 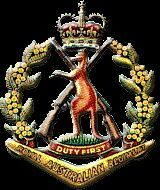 I/we are interested in a trip back to the Enoggera Barracks for a tour of the 8/9 RAR lines including a weapons display and a visit the RAR National Memorial Walk with a BBQ lunch included. (Estimate Cost $60 per head). To commemorate our 50th Long Hai Day, our association intents to hold the Reunion at the Tweed Heads/Coolangatta Twin Towns Service Club over four nights from Tuesday 25 to Friday 28 February 2020. Your organising committee needs your support. We need to know numbers attending so we can source the most suitable venues and obtain some favourable deals based on our numbers and to finalise our plan. Signatures Restaurant Breakfast vouchers are issued on arrival. They are included as complimentary within the Hotel Room & Hotel Deluxe Twin Room Rate and have no cash value. Room rates above are based on up to 2 people. Up to 4 guests can be accommodated in Hotel Deluxe Twin Rooms using existing bedding. Additional guests in Hotel Deluxe Twin Rooms incur an extra person cost. Extra person cost: $76.00 per person/per night, inclusive of breakfast. Children under 2 years old are free of charge. * The Hotel King Rooms contain a kitchenette and ensuite. Breakfast is not included. *All apartments are fully self-contained. Breakfast is not included. Apartment rates above are based on the specified number of persons in each room type. An additional person can be accommodated in the 1 and 2 bedroom apartments. The maximum number of guests in a Hotel King Room is 2. Additional guests in Apartments will incur an extra person cost. Extra person cost: $50.00 per person/per night. Children under 2 years old are free of charge. Beds can be split at an additional cost of $25.00. Please enquire with Reservations. Two Bedroom Dual Key Apartments are also available, and consists of two interconnecting rooms; a One Bedroom Apartment interconnecting with a Hotel King Room. Apartment Rates do not include breakfast but breakfast can be purchased at extra cost during your stay. Signatures Restaurant Breakfast vouchers are available and can be purchased in advance at $26.00 per person from the Hotel Reception desk or $30.00 per person, direct to the restaurant. Hotel King Rooms are serviced daily. Apartments are un-serviced, however a mid-stay clean is provided on bookings of 8 days or more. A starter pack will be provided upon arrival and additional linen and amenity requirements are available at a charge. A $200.00 accommodation deposit is required by credit card upon reservation (or by bank cheque within 48 hours of the booking). Full payment is then required upon check in. A booking may be cancelled, outside 7 days to arrival, but no refund will be issued, a credit note will remain in place and valid for 12 months, for a future stay at Mantra Twin Towns Hotel & Apartments. If the booking is cancelled with 7 days of arrival, all deposit monies will be lost.